It’s an amazing collection of best free responsive html5 css3 website templates with latest design layouts, which you can use in all type of personal websites, business website and all of these are developed with html5 and css3. There is a trend of using these templates among web designers and developers nowadays. Besides these allows the great feature of HTML5, creating online animation instead of flash animation, so there is no need to get adobe flash support on user’s web browser. Let’s take a look at our mind-blowing collection of responsive html5 website templates, and of course, you can get these premium like templates completely FREE. 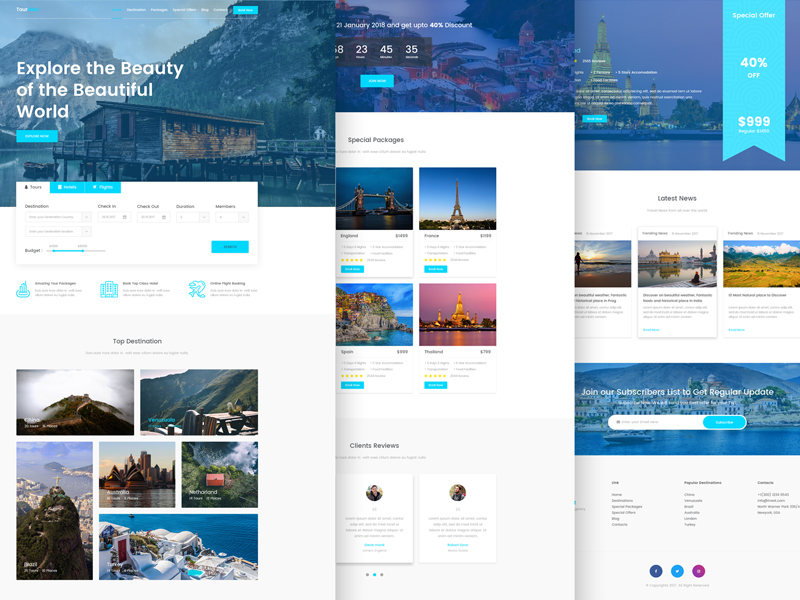 Tournest is a stunning free HTML5 responsive template for travel and tour related website. This template offers a great value with its outstanding animations, mind-blowing design, and awesome layout. The bright and eye-catching user interface will welcome your visitors with a full-screen header background image and an awesome sticky navigation bar. You will get an email subscription box and animated social media icons at the bottom. Themesine creates and distributes this premium HTML5 bootstrap template FREE of any cost. 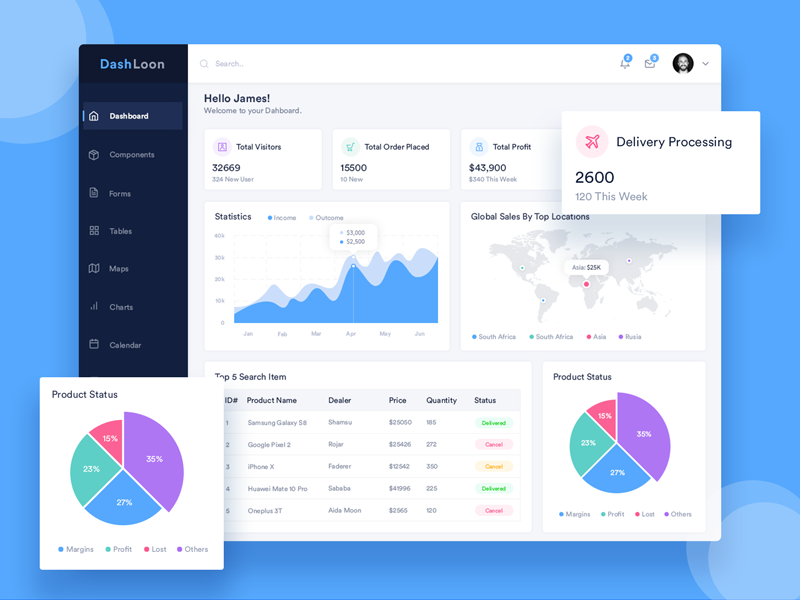 DashLoon is one of the best free admin templates which can compete with any premium dashboard. This flat and full featured admin template build on Bootstrap 3 framework by ThemeSine. 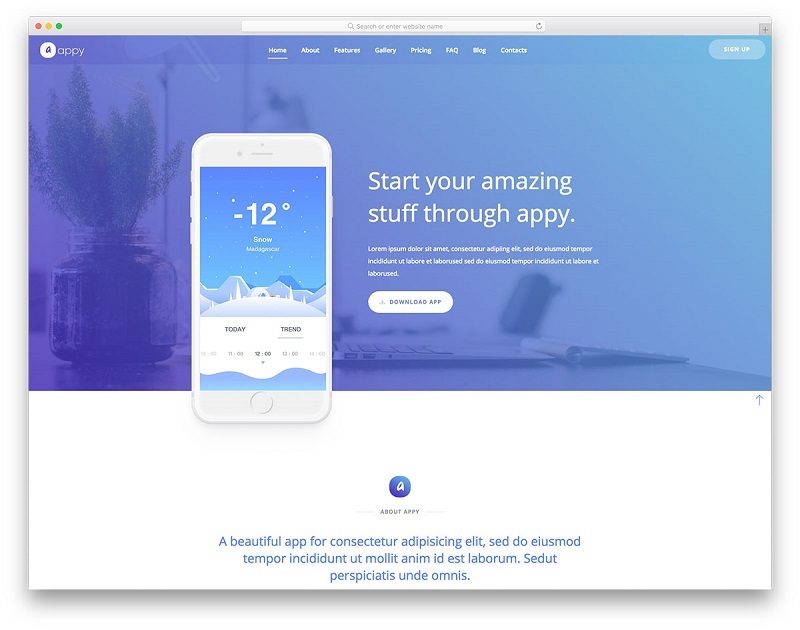 They used Bootstrap to make this template developer friendly, lightweight and fast-loading. DashLoon is fully responsive and compatible with all platforms on the market. This template featured with many icons, custom-made plugins and different skins which provides everything you need for backend administration panel. Surely this clean and fresh admin panel template is the one of the best admin dashboards you can get FREE. Appy is a great HTML5 one-page website template which can represent your mobile application in the best possible way. The template build on Bootstrap 3 by Colorib with using Bootstrap framework which ensures its responsivity, lightweight, and fast-loading. The template features all the important features in different sections including Gallery, Pricing, FAQs and Contacts which will increase interest in everyone landing on your website. This eye-catching template also has a blog section and newsletter subscription form too. Colorlib offers this premium like template FREE. This is a neat, attractive and functional free HML5 template focused on finance, corporate and business agencies. Neuron built with the combination of HTML5, CSS3, and Bootstrap 3 which makes it visually impressive, lightweight & fast-loading. This amazing multipage template has a beautiful homepage with the full-width stunning slider and 20+ essential pages including service, press, news and blog page. 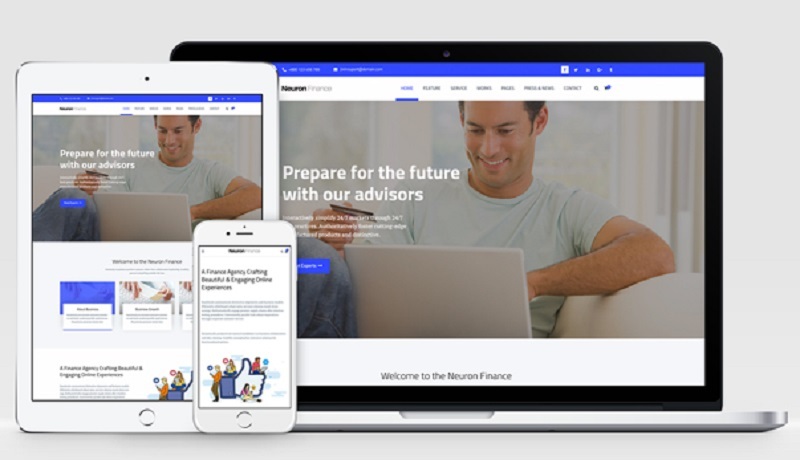 Neuron Finance has been developed by considering startups, small or corporate business by Trendytheme and they are offering this awesome template completely FREE with all the premium features. 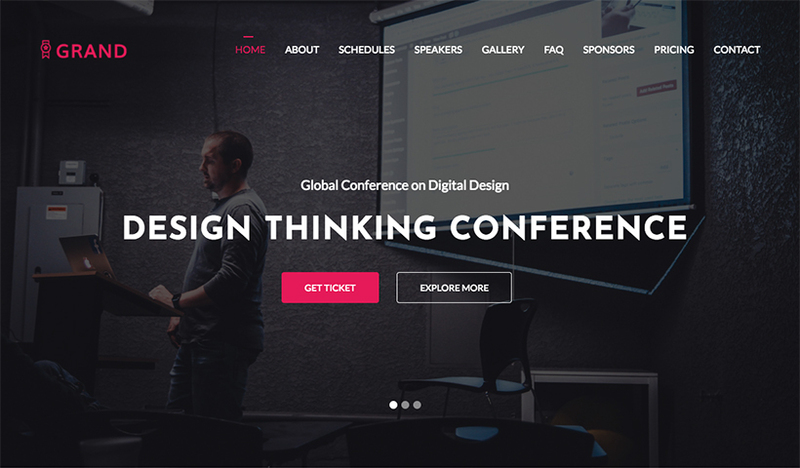 Grand is a free html5 bootstrap 4 website template for event and conference happening throughout the year. Grand featured with beautiful intro slideshow and slider, a countdown timer, a header navigation that scrolls smoothly, past event gallery, FAQs, Ticket pricing table and many more. The landing page template ends with Google Maps location and an enquiry form. 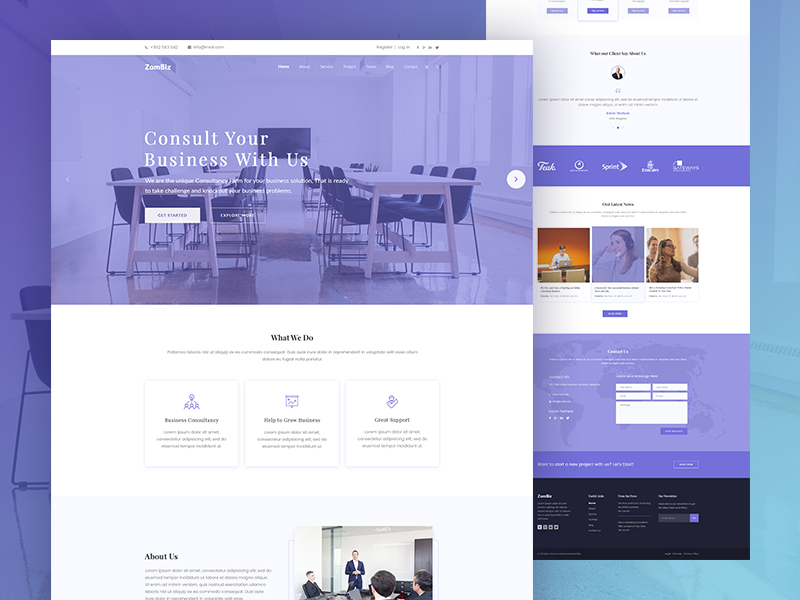 The template is adaptable enough and suits almost all types of events, organizers do not need to spend times to create an extraordinary website, they just need to get this awesome, easily customizable HTML5 bootstrap template. uideck offers the lighter version completely FREE. 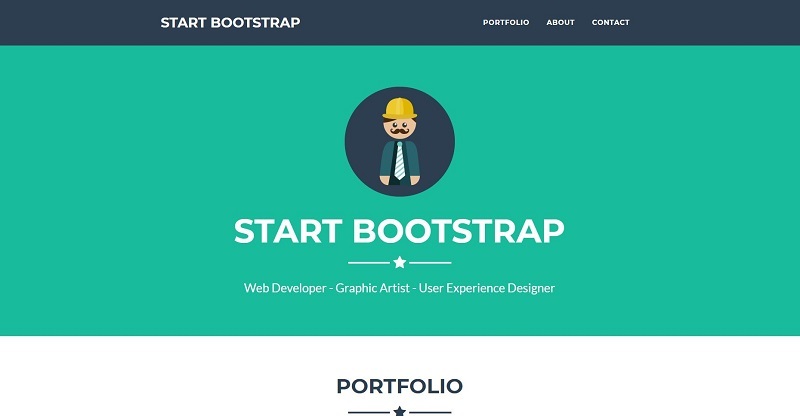 Freelancer is a responsive one-page free bootstrap portfolio template by Startbootstrap, especially for freelancers. This is open source and free to download as like other Startbootstrap templates. This very lightweight and fast-loading HTML5 template built with Bootstrap 4 and compiled CSS included. Top features include but not limited to – responsive portfolio grid with hover effects, top navigation bar which collapses on scroll, scrollspy on navigation items and mobile-friendly contact form. 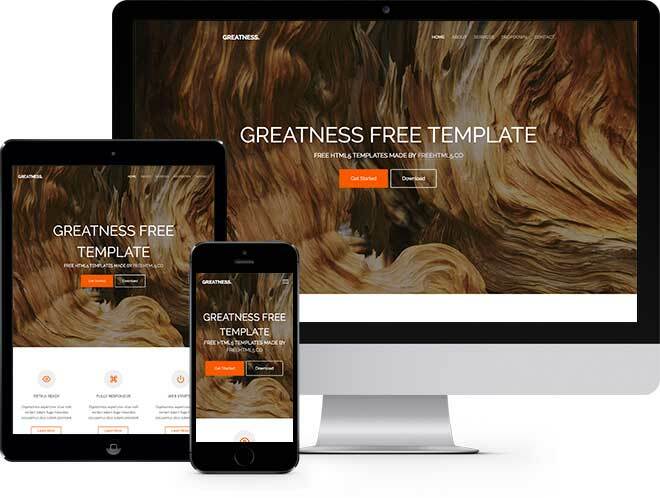 Greatness is a fully responsive HTML5 bootstrap template which you can use for multiple purposes. This multi-page template has several pages including service, contact and about page. This clean, minimal and modern template can be used for any type of website. Beautifully animated numerical counter, testimonial slider and attractive icons made this template eye-catching. Freehtml5 offering the lighter version of this lightweight and fast-loading bootstrap template FREE. Massively is a simple, clean and elegant multi-page blogging template for bloggers and writers. It’s beautifully crafted with HTML5, Bootstrap, CSS3 with premium like features and full responsivity. This easily customizable and well-documented template is pretty much mobile and SEO friendly. Awesome fonts and icons, ghost buttons, on hover zoom-in made this FREE template as like premium. Go for massively if you are looking for a FREE responsive blogging html5 template. Luxehotel is a free multipage luxury hotel website template which gives you the opportunity to bring your hotel business online. The template is really looked like 100% premium and I have seen a very few hotels with such beautiful template. The template has many sections including rooms, dining and bars which makes it a complete package. 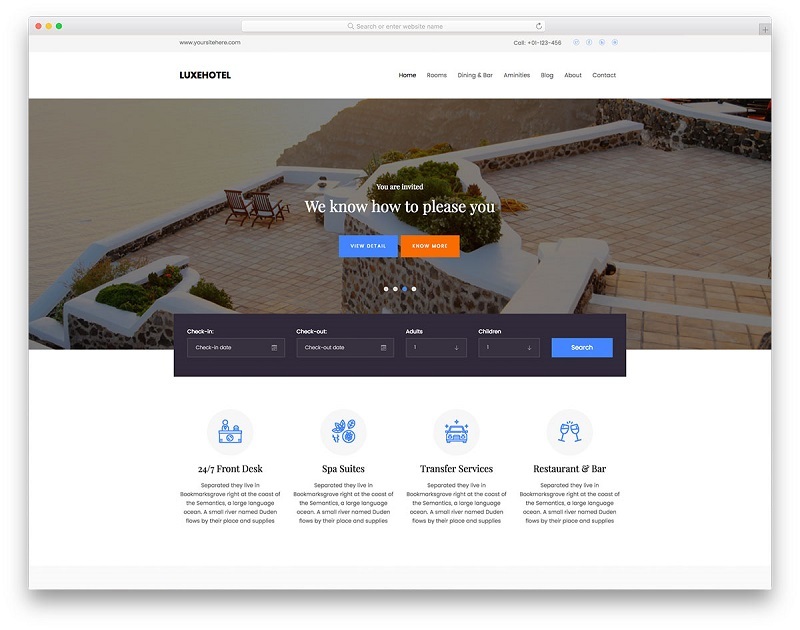 Template provides online booking for your luxury hotel or resorts on its landing page, besides allows you to use it for other related businesses, like bed and breakfast, motels, spas. Luxehotel is very professional, responsive, and compatible with all web browser and modern website developing tools. Colorlib offering this amazing template completely FREE. ZomBiz is an outstanding HTML5 website template for any business agencies. ThemeSINE presenting this amazing template with eye-catching backgrounds and fonts. This fully responsive template build by using modern techniques including bootstrap 3 and CSS3. You will get full customization ability with this awesome bootstrap template. 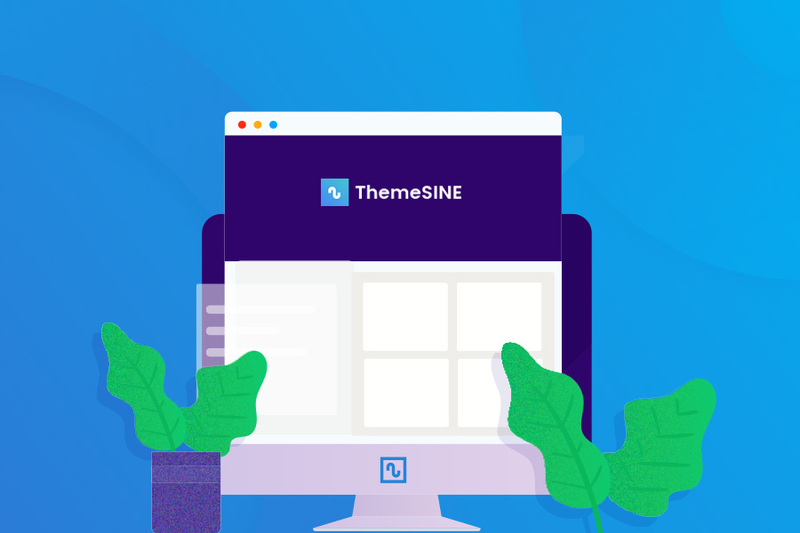 The most important thing that ThemeSINE is offering two different versions of this template – one page and multi-page template and both of them are FREE.